Car Wash is a low streak, high foaming detergent which can be used for a wide variety of applications. 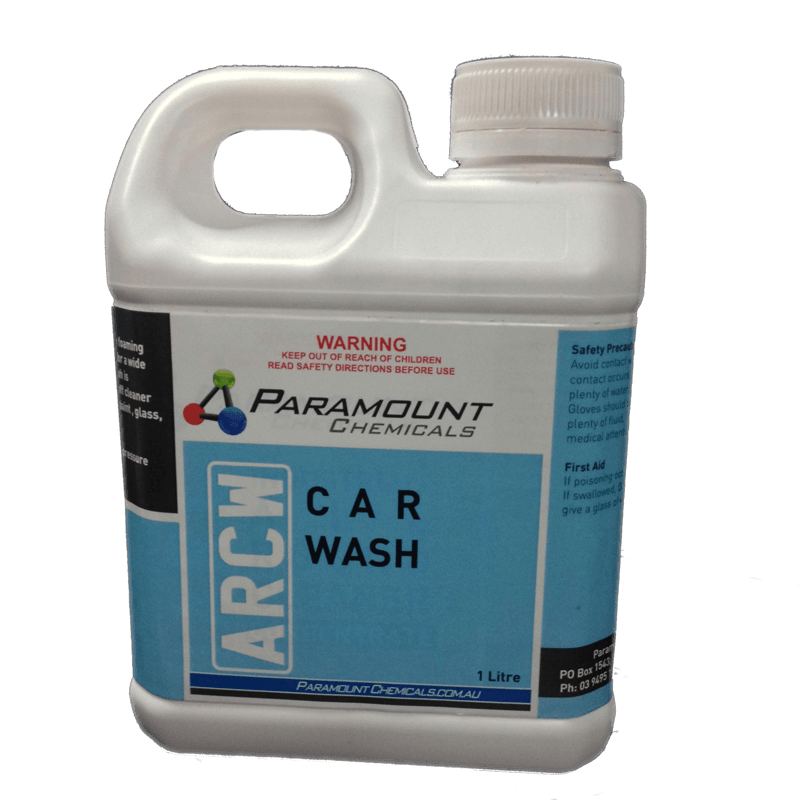 Car Wash is suitable as a spray-on, wipe-off cleaner for all hard surfaces such as paint, glass, metal and stainless steel. SKU: ARCW. Category: Cleaners. Tag: car wash victoria. It is extremely powerful with pressure cleaning equipment. Direction For Use: Dilute with 10 parts water. Safety Precautions: Avoid contact with eyes and skin. If contact occurs, irrigate immediately with plenty of water for at least 15 minutes. Gloves should be worn. If ingested give plenty of fluid, induce vomiting and seek medical attention. First Aid: If poisoning occurs, contact a doctor, If swallowed, DO NOT induce vomiting, give a glass of water. Warning: Keep out of reach of Children. Read Safety directions before use.